If you’ve already installed your off road kit or show truck modifications, all you need are the finishing touches. 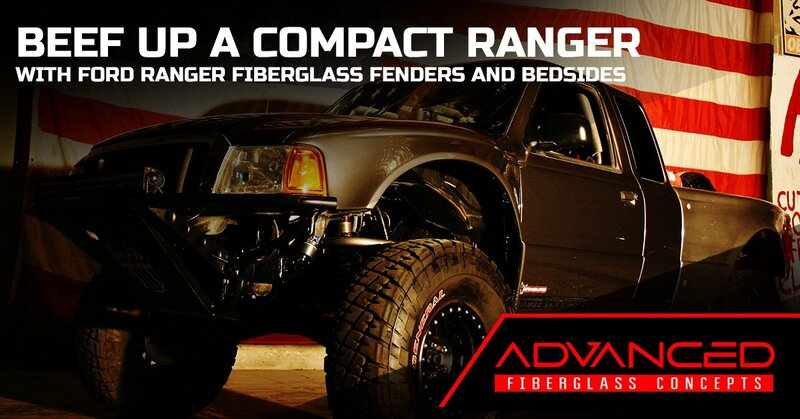 Our fiberglass fenders and bedsides beef up your truck with a truly custom feel. You, and everyone else, will know your truck is one-of-a-kind. 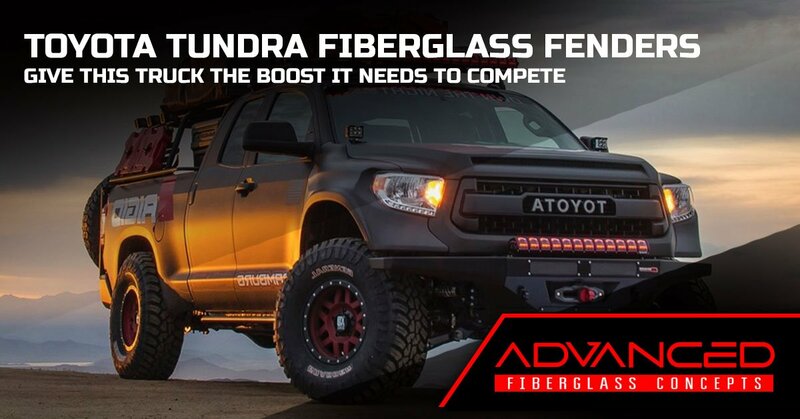 At Advanced Fiberglass Concepts, we’ve set the gold standard in designing and manufacturing fiberglass after-market automotive parts. All of our molds are made in house from only the best designers in the industry. 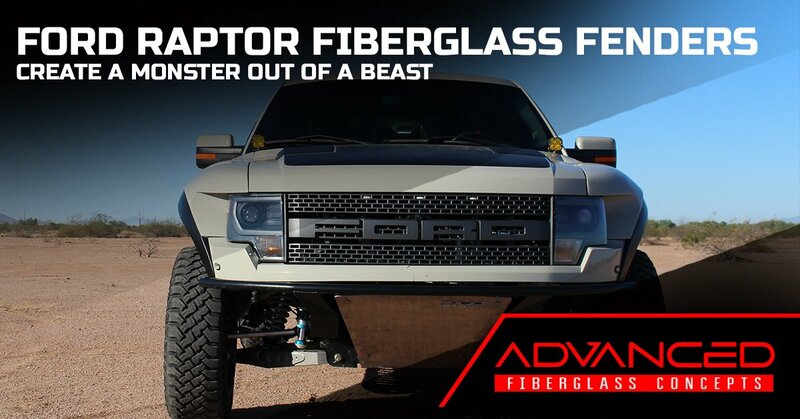 When you purchase an Advanced Fiberglass Concept part, you're getting quality backed from our expert craftsmanship. We pride ourselves in the fact that our manufacturing is all hand-laid, here in the United States. Only the best materials are used to ensure durability and proper fitment, ultimately resulting in a polished finished product. In addition to our product line, we also offer the option of using colored gel-coats and/or carbon fiber for special order situations. Whether you want to customize your truck and make it your own or get your truck race day ready, you can count on us. Our F-150 and Raptor products are without a doubt, “Built Ford Tough." If you’re looking to take your own ‘Yota off-roading, be sure you have the right parts to do it. 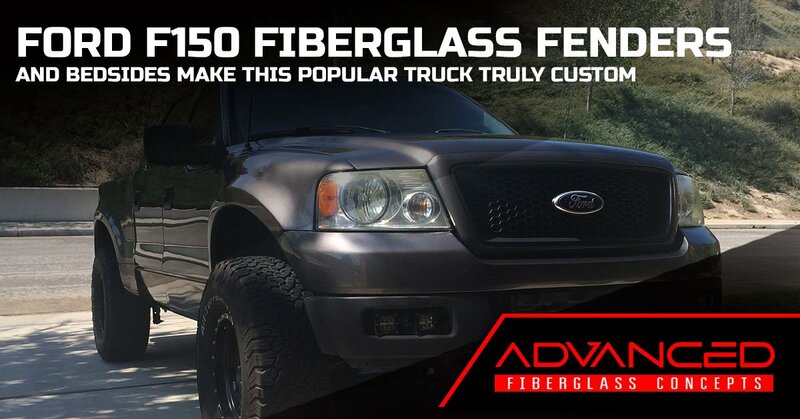 Advanced Fiberglass Concepts is a leading provider of aftermarket fiberglass body parts, including hand-laid fiberglass fenders and bedsides. Stand out from the rest with our fiberglass products. The Ford Ranger was America’s compact that packed a powerful punch. It is known for its extensive range of suspension parts which is why we have a wide range of fiberglass parts for them. Check them out today! All of our products are fairly easy to install. You will need a few hand tools and a few hours of time, depending on the products you have purchased. Also, you will reuse most of your stock hardware during this installation—it is typical to have a few screws and bolts left over, however. Get the full installation instructions here. "Mounted Beautifully In Less Than A Minute"